Filtrex Filters are manufactured in OEM approver ISo90001:2000 facilities, filters are produced using the best materials and components, supplied to major original equipment manufacturers world wide, with further compliance to Japanese Industry Standards. The Filtrex Range features “canister and “paper –type” filters offering high performance filtration of engine lubricant whilst guaranteeing optimum flow rates and oil pressures. 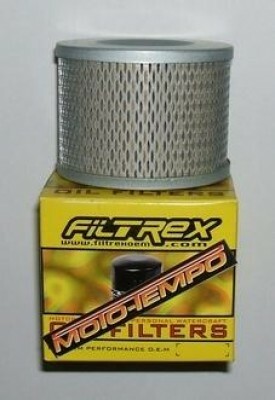 The “paper-type” feature a unique all-round mesh casing giving the filter increased stability and rigidity over standard filters. The Filtrex Range features canister and paper type filters offering high performance filtration of engine lubricant whilst guaranteeing optimum flow rates and oil pressures. The paper-type� feature a unique all-round mesh casing giving the filter increased stability and rigidity over standard filters.